I spent the last 17 years working for some of the finest, most prestigious businesses in Africa and in the world as well. I enjoy Corporate Africa. It’s about strategic thinking, tough negotiations with business partners, board room to board room meetings — the rush is amazing. It’s always about getting ahead and striking your targets since the bonus will land you and your family in the Mauritian beaches. Working late hours and weekends is part of the package, not to mention the never-ending workplace politics. That was the life. Even though I went up the ladder every two years, it continuously felt like I was not hitting the mark for where I really wanted to be. One day in my quest to hit my targets, I was appointed as part of a global team to discover new potential sources for the precious cocoa commodity. During this expedition, I encountered some of the poorest people I had ever met. They were cocoa farmers, deep in the western part of Tanzania. These farmers prepared an incredible “board room” for us to sit and meet — a clean bed of banana leaves in the heart of a small cocoa farm. There were 40 to 50 farmers there, both men and women. It was my first time seeing and holding an actual cocoa fruit. The farmers we met looked on to us with hope, waiting patiently for the promise of a bright future that would change their poverty status, change their children’s future — maybe even finally fulfill their dreams of seeing their children succeed. As a fellow African son, I wanted to see my brothers and sisters lives transformed and injected with hope and purpose. I sincerely wanted to help, but in my heart, I was at a crossroads. I knew I was part of a system whose first objective was share price in the New York Stock Exchange. That day, a transformation within me started. I made my first leap of faith from the corporate world to BoP Innovation Center, a consultancy foundation based in the Netherlands that works extensively in Africa and Asia to facilitate inclusive entrepreneurship, especially for companies that focus on the Bottom of the Pyramid (BOP). For about two years with BoP, I consulted with more than 15 companies in Kenya, Uganda, Ethiopia and Mozambique to rebuild their business models and refocus their marketing approaches to target BoP consumers. Then what felt like the impossible happened. A headhunter found me and introduced me to Nuru International. I had never heard of a dream so audacious: eradicate extreme poverty in remote, rural areas. They were searching for a president for Nuru Social Enterprises, founded to sustainably fund Nuru’s impact programs in Kenya and Ethiopia. Until that point in my career, nothing had so perfectly fit between my vision for Africa and entrepreneurship as Nuru Social Enterprises did. I watched Jake Harriman’s story and was captivated. Then, I watched Philip Mohochi’s story about his migration back from Nairobi and the corporate world to his home area in Kuria district to fight poverty. His story hit a perfect note in my heart that drove me to apply for the role. I was completely sold. The Nuru Social Enterprises I found in August 2016 was just fantastic. A lot of great thought and investment was already in place, including investments in various business lines such as dairy, poultry and consumer products. Successful pilots for egg and yogurt production were complete. Clearly Nuru Social Enterprises was poised to fund Nuru International in the future. Most importantly, it was pregnant with promise. Within my first 100 days, we bought over 1,000 tons of maize from Nuru farmers at price 10% higher than market rate. We are divesting from the consumer products business to focus on poultry and dairy business lines so that we can improve our gross margins. In short, our vision for Nuru Social Enterprises is to empower the farmer to have a voice in the market. 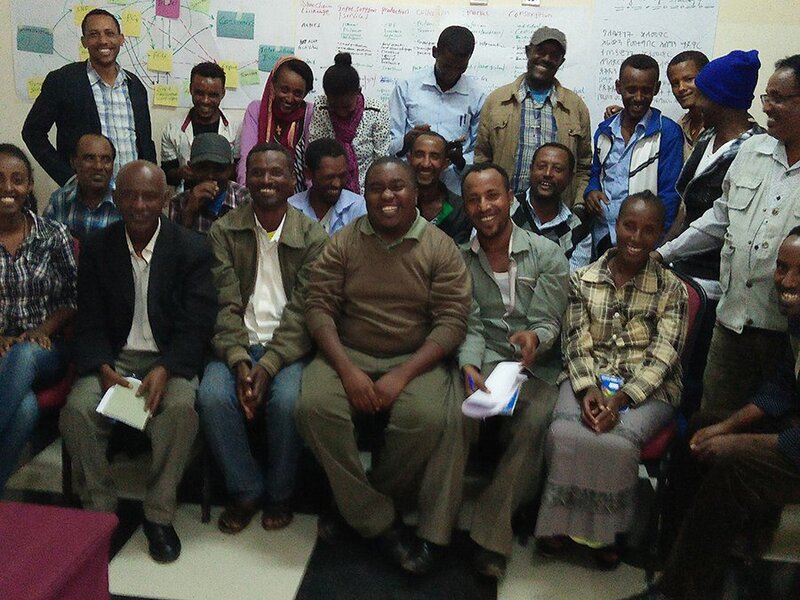 At Nuru, the farmer is at the center of the organizational success and progress. Where brokers and other value chain players have undermined the farmer, Nuru Social Enterprises stands to defend the farmer. We do it by buying farmers’ produce at a premium price, paying them on time and then creating brands that inspire our consumers. Our brand portfolio will stand on the platform of providing affordable protein products. We are currently producing eggs, yogurt and chicken meat for consumers in Migori, Homabay, Kisii and Kisumu counties. NSE Brands will target the base of the pyramid (BOP), in order to solve the malnutrition pandemic as well as take advantage of their entrepreneurial genius for distribution. Consumer research shows that BOP consumers are aspirational, just like any other consumer. BOP markets are looking for inspirational brands, not for products designed for the poor. The business opportunity is huge. 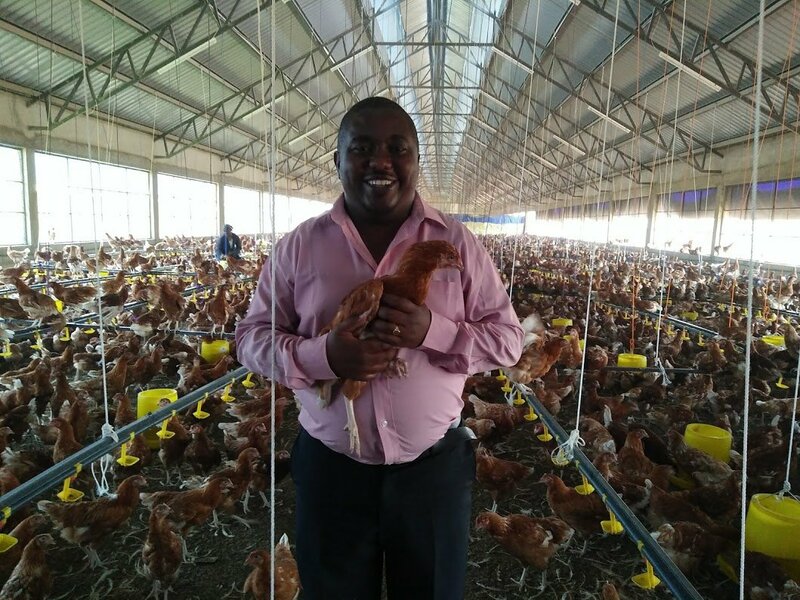 Currently, we are the largest poultry farm in the western part of Kenya. By 2019, we will be the largest eggs producer in Kenya with about 150,000 eggs per day. Together with my wife and our five children, we have made the decision to journey from Nairobi and move to Kisumu and Isebania to do our bit to contribute to the fight against extreme poverty. My dream to change Africa has begun. President, Nuru Social Enterprises — Prior to Nuru, Frank Kitonga built the BoP Innovation Center in the East African Region within the inclusive business industry. He successfully developed a high value portfolio with projects including NETFUND Award program, 2SCALE (Agribusiness Incubator), GAIN Market Place program, Unilever / DFID TRANSFORM project and the KMAP project with Farm Africa. During his 15 year tenure in the corporate world, Frank was involved in many projects in the disciplines of supply chain, finance, procurement and information and communications technology. At Nestle, Frank was part of the International Nestle Group Audit team, implemented the SAP & TPM programs in 10 countries in Equatorial Africa and pioneered the Africa Sourcing Project. At Unilever, he implemented the Sankofa project which linked all Sub-Saharan countries into a single ERP system and also transformed the OMO brand from losing to growing market share as management accountant. Frank is passionate about inclusive business. He is based in Kenya from where he works to transform lives through a pragmatic, boots-on-the-ground approach.